Being a startup if you want to invest in the electric bike-sharing app like Lyft & Uber, then this blog is for you as it contains top three opportunities, which you can grab by investing in the electric bike sharing industry. Let’s check out, what those opportunities are? Most recently, especially for startups, bike-sharing has become one of the hottest trends and a new mode of transportation. What exactly bike sharing does? Fundamentally, it is one of the effective type of transportation services in which bicycles are made available for shared used for people on a short-term basis. For hiring and sharing the bikes, the user can do it via bike-sharing apps. Well, there is a number of successful dockless electric bicycle companies like Ofo, JUMP, Yellow Bike and MoBike. 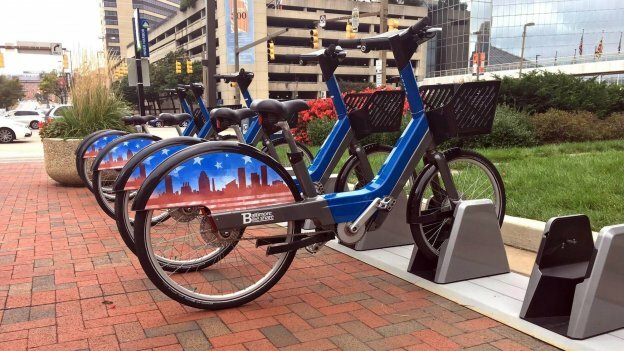 Talking about the bike-sharing market, Lyft, a San Francisco based on-demand transportation company, has also announced the collaboration with the Baltimore bike share (a bike sharing system) that supports transportation hubs for bikes. As per the recent report from TechCrunch, “The collaboration is in between Lyft and Baltimore’s department of transportation”. It involves a $270,000 investment from Lyft in order to sponsor five of these new transportation hubs for three years. As you know that the trend has already begun with several successful bike sharing companies like Ofo, Mobike, JUMP and some other companies. And you might also know about the latest update of Uber’s new electric bike sharing service. Now, let’s have a look at the top three opportunities in the bike-sharing market, and why you as a startup needs to invest in this industry. Top 3 Opportunities: Why Do Startups Need to Invest in Bike-sharing Industry? Believing that world will soon forget the ride-sharing war. Due to the fact, there’s a new battleground – bike sharing. 2008: Washington D.C launched SmartBike DC, along with 10 stations, and 120 bike pilot program, which is the first modern bike share system in the United States. On the other hand, in Montréal, a government-owned company, which is known as Bixi Pilots has its own system with innovative and robust bicycles. Furthermore, China launched its bike share system with 2,800 bicycles. 2013: When it comes to New York, the bike-share system launches with 6,000 bikes in the year 2013. 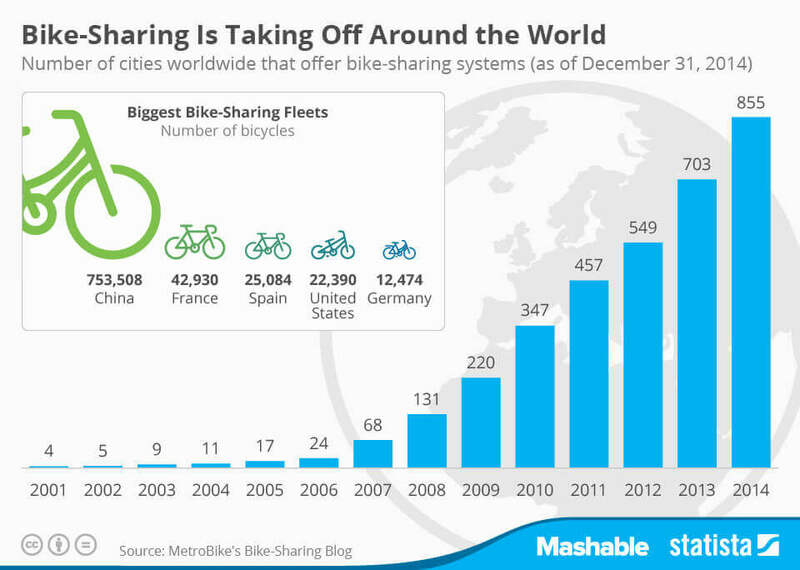 2014: By the end of the 2014 year, bike-sharing systems were available in just 855 cities globally. Nonetheless, as per the report from MetroBike, the global bike-share fleet comprises almost 1 million bicycles. And, the majority of which are situated in China. 2015: In the year 2015, worldwide, the number of bike-share bicycles hits an estimated 1,000,000. 2016: As of December 2016, approximately 1000 cities globally have a bike sharing program. Total Amount of Bike sharing Companies Raised: Talking about the non-stop growth of bike sharing system, it is worth mentioning about the total amount of money bike sharing companies like Ofo (Beijing-based bicycle sharing company), Mobike (the stationless bike sharing system), and Bluegogo (bicycle-sharing based in China) has raised. Talking about the Chinese bike sharing industries, amid all, Mobike is one of the most expensive manufacturing models. 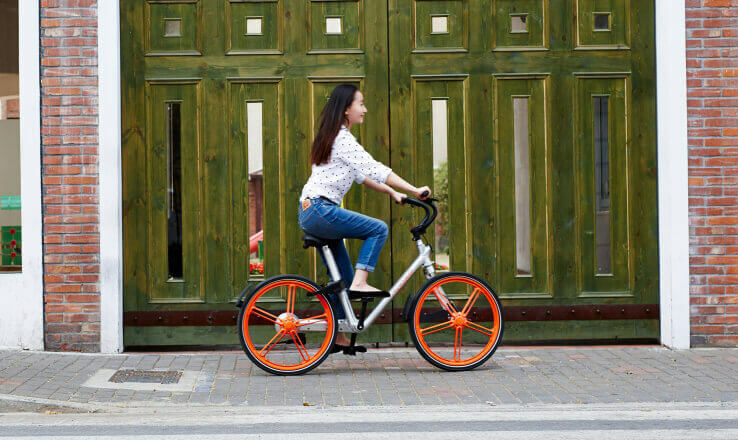 However, it claims that Mobike costs more than US$400 in order to manufacture per bike. It is assumed that each bike is used for 3 hours per day, and the revenue is US$1. It means that each bike takes 400 days for manufacturing cost to break even. To consider this, we can say, these bikes generally have a life cycle of more than 2 years. However, bike share providers do not want to surely lose their money on the hardware only. 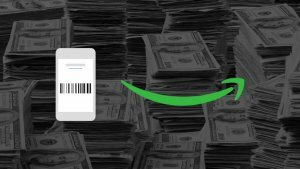 In the meanwhile, with millions of daily active users, startups can surely gain reasonable revenue through advertisements and other financial services. This works in two ways i.e. hardware and software, The company spends money on hardware only and earns millions of dollars through bike sharing app. In this way, we can say that by investing in bike sharing apps, startups can actually make a profit like Mobike and other companies like Ofo and JUMP. 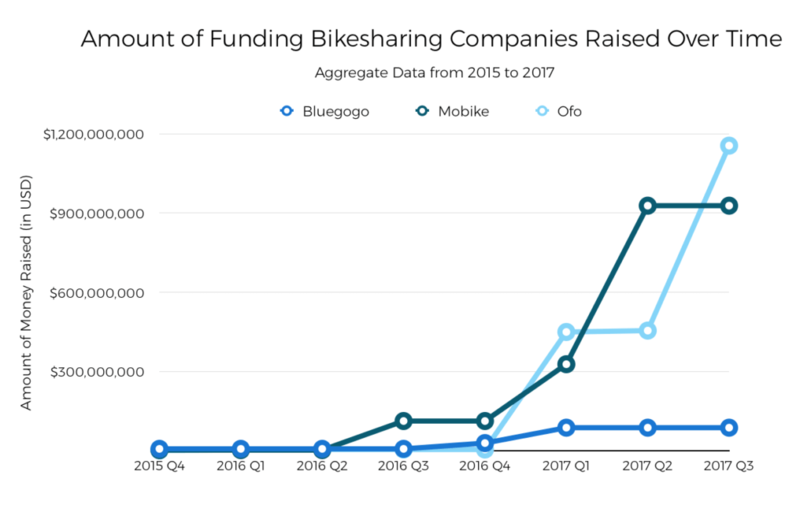 Furthermore, in the below image, you can get the glimpse of the total amount of funding in bike sharing programs, which has been raised by different companies over time. The image will give a clear idea about the funding amount that companies have raised. 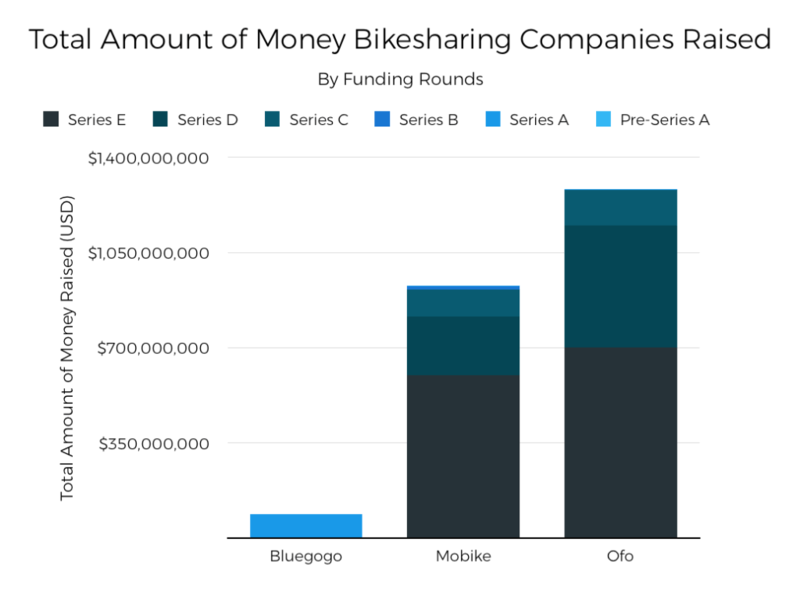 After going through the data of funding amount of bike sharing companies, it would be a great idea for startups to invest in the bike-sharing industry. Bottom Line: Well, it is all about the growth potential of bike sharing companies. As long as startups are concerned, this is a big time to invest in uber like an electric bicycle. It is also predicted that the bike sharing companies are projected to be worth 23.7 billion yuan ($3.5 billion) by 2019, as per the report from Forbes. When people plan to go somewhere, then they usually look for a cab to hire. 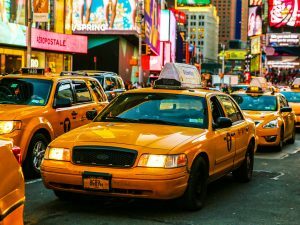 After finding out surge while hiring the cab, even for a short distance, what would they do? However, it is a typical scenario, and called as ‘last mile problem’. So, hiring a bike is surely an affordable option for them. If people would find out last minute solution to commute through nearby bike option, then it could make people’s life easier in terms of hiring the taxis, which can sometimes stretch out the budget. At the same time, it is beneficial for startups, who look up for ways to invest in a business model like bike sharing mobile apps, which can actually create value. Throughout the above, you as a startup would know that the level of competition in bike sharing is not that fierce, however, startups can definitely make most by investing in the bike sharing industry. Over the next few years, the scenario of bike sharing will be completely changed. So, it would be better to discuss the challenges, which you may face as a startup before developing a bike or ride sharing app like Uber or Lyft. As long as investment in ride or bike sharing technology is concerned, there is a lot to keep up with. The first and foremost thing is that startup should wisely invest his time to hire dedicated developer to create app like uber bike. Is there any firm, who can validate my bike sharing app development idea? How much time does it take to develop an app like Lyft or Uber bike? How much does it cost to create an MVP (Minimum Viable Product) for bike sharing app? 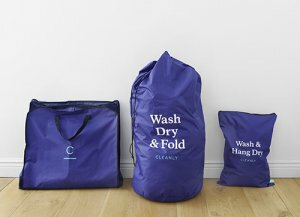 I have an idea along with some unique features, how can I validate it? 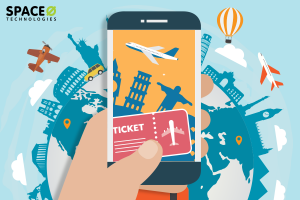 Firstly, a trusted mobile app development company can help startups to develop a right app to serve their customers’ requirements. Moreover, make sure to check the portfolios of the organization, which you are going to hire for your project. Still, if you have any queries related to bike sharing app development, you can get in touch with us through below-given form. We’ll get back to you within 48 hours. This page was last edited on July 13th, 2018, at 2:14.